I am a technical analyst and a technical trader. I don’t use ANY fundamental factors in determining whether to take a long or short position. I literally have no idea what Micron’s financials look like nor do I spend any time trying to figure out DRAM pricing. I believe all that information is baked into the price action. My role here is simply to show you my analysis of Micron, not to change your mind. In technical analysis, the longer the time frame, the more meaningful and impactful the signals. For example. If price is in an uptrend on the daily chart, but the Weekly chart is in a down trend, then by definition, it is a counter trend rally. Using that idea, Monthly charts trump weekly charts and weekly charts trump daily charts. Setting aside last night’s earnings call and price reaction, lets look at the intermediate picture. From the weekly chart lets start at the top and work our way down. Divergent High – Notice that RSI & PPO momentum indicators peaked in Nov 2017, then began to roll over and continue down even as price advanced. As price peaked in late May 2018, RSI and Momentum were at much lower levels than they were in November. That is a divergent high which is a warning sign. Trend Line break – In early July, price broke it’s uptrend line. Sell Signal = Divergent High + Trend line break. Downtrend – Since that initial signal, price has not been able to break above the down trend line. Relative Performance Fades – Turn your attention to the 3 bottom panels below the price chart. Notice three things. Micron’s relative price performance vs. SPX has broken trend. Semiconductor group relative performance vs SPX has faded and maybe most important, Micron’s performance vs it’s peers has faded as well. Micron is no longer a leader within semi’s. To me, that is a big deal. 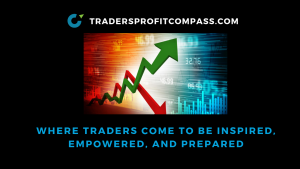 Intermediate Outlook – The weight of the evidence is bearish. What would turn it bullish? Price needs to break above the down trend line. That would likely turn the indicators upward into more of a bullish posture. Something that would really help is if the semiconductor group as a whole started to re-emerge as a market leader. A rising tide does lift all boats. Monthly charts are very powerful. They show you the big sweeping trend changes that often last for years and sometimes even decades. Like a super-tanker, monthly charts don’t turn on a dime. Let’s take a look at Micron’s 20 year monthly chart to see what we can learn. Even if you don’t know anything about technical analysis, I think you will find it fascinating. RSI – This indicator has only been above 63 three times since 1999. In 2000 when it went back below 63 price dropped 91%. In 2015 when it happened, price dropped 74%. The third time is now. From the monthly chart I see the following things: 1. Divergent High – Price peaking with lower RSI and Momentum 2. RSI going from overbought and now dropping below 63. 3. 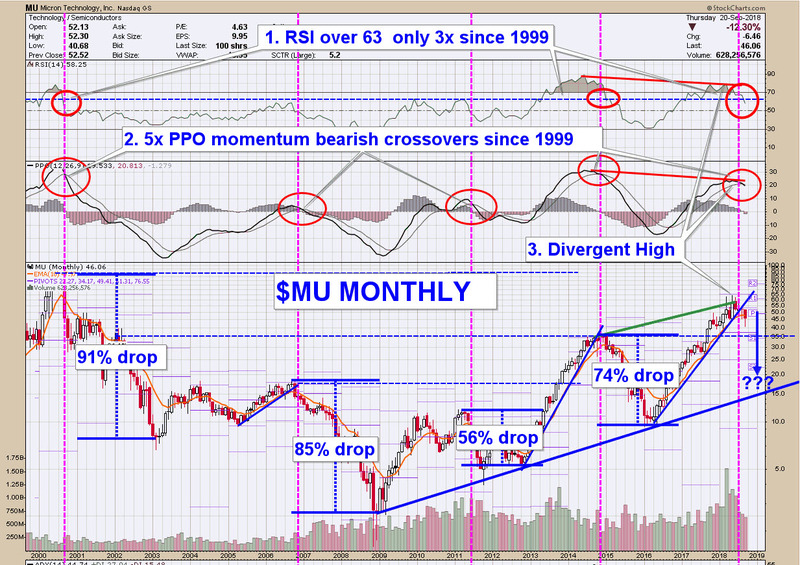 Bearish cross on PPO momentum 4. Price breaking it’s uptrend line. Those are all bearish technical developments. As a technician, all I can do is trust my indicators and watch price. We still have 10 days before September’s monthly candle is finalized. 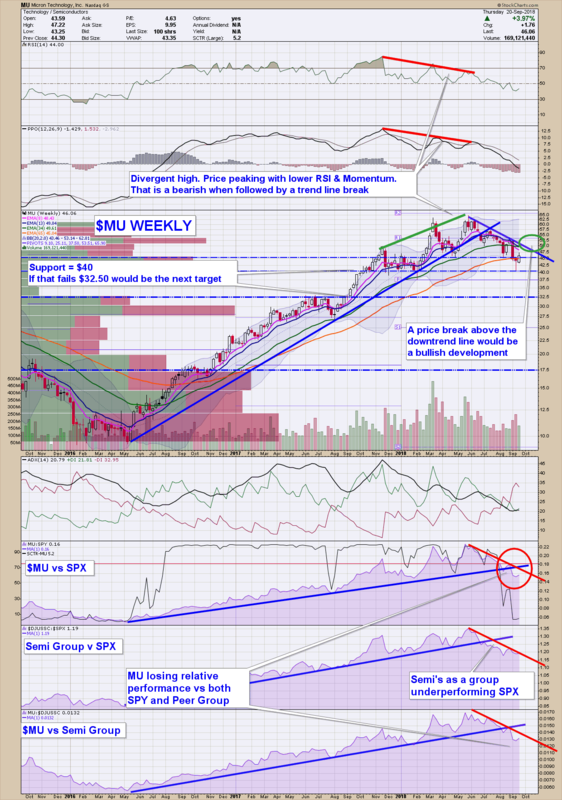 Is it possible for Micron to stage an epic rally and blow the roof off and reverse the bearish set up? Yes, absolutely possible. Is it probable? No. There is support at $35 on the monthly chart. That is inline with support shown on the weekly chart. A drop from $63 to $35 would be a great result considering the prior price drops that ranged from 56% to 91%. If price moved to that level and held. I would think that would be a great long term buy, but that’s way down the road. We need to watch to see where price leads us. So as it stands now, the weight of the evidence, both from an intermediate and long term perspective is bearish. I hope you found the analysis helpful.